In the US, chicken wings are immensely popular leading up to the Super Bowl. They sell for twice the price of whole chickens with about half the meat. 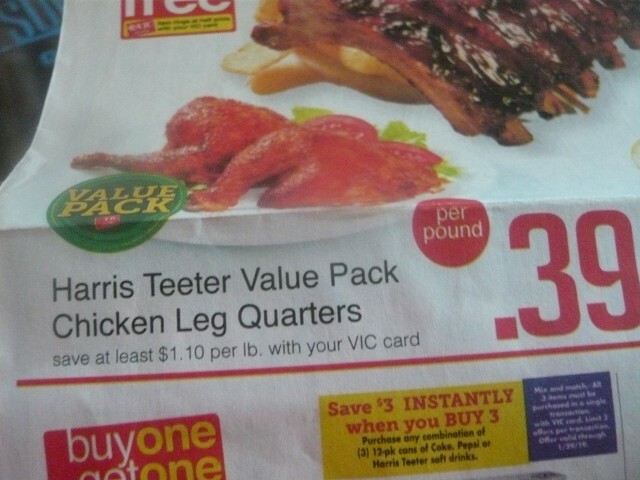 The main consequence for me is that there is a huge mark down in the price of chicken leg quarters. I'm thinking buffalo chicken sausage and chicken chili verde sausage along with chicken stock. Start planning now. Am I reading that right $0.39 a pound? Yep, and if Janet gets them tomorrow, we'll get a senior discount as well. The wings on the other hand are $ 2.29 / lb. I think it equates to £ 0.66 / Kg. Thanks for the reminder, I need to see what's out there. A good deal here would be around £2 per kg - three times as much.